Another month has elapsed, many small changes or adjustments have been made to my book proposal, and this part of the journey is coming to an end. Working with a professional editor has greatly enhanced my writing and knowledge. Small nuances such as comma placement, italicizing a word, or using a punctuation mark can make the difference between good and great. And I believe, after numerous revisions, this proposal is great! Throughout this process I have consistently listened to/trusted my gut instinct. Regardless of the outcome, I know I have produced a compelling product of which I am deeply proud. Be Your Own Superhero will affect lives for the positive; offering a unique, four-step process through which readers can learn to take control of their health and well-being, and feel great in their bodies and in their lives even if living with a chronic disease. It is a roadmap to becoming one’s own superhero: embodying resilience, coping with adversity, clearly seeing life for the gift that it is, and helping others do the same. Now comes the most challenging part of the entire process: waiting. Today I will submit my proposal to the Hay House Writer’s Workshop Contest. With a deadline of November 15, they will not inform applicants of any decisions until December 15. From this moment onward, all I can do is wait. Or is it? I believe in the power of prayer and in the Law of Attraction. Therefore, as I’ve been doing since I began this process, and will continue to do until it is over, I am praying every day; thanking God for my proposal being the one that is chosen to receive the grand prize of a $10,000 advance and publishing contract with Hay House Publishing. As my editor is doing, I ask you to hold me and my Proposal in the highest winning vibration you can; keeping all toes and fingers crossed for a successful outcome. My inner voice tells me it is my time to shine. In the meantime, I will turn my focus to completing the actual manuscript. If I can complete it by year’s end, I can begin the editing process in the New Year with an end-goal of having it published sometime in 2017. Thank you for following me on this journey. Thank you for keeping me and my Proposal in your prayers. Filed Under: Health, Holistic Health, Uncategorized, Wellness Tagged With: Be Present, Be Purposeful, Be Well, G.I.F.T., Hay House Writer's Contest, how to be healthy, Integrative Medicine, prevention, why me? The first draft of the entire book proposal is in the editor’s hands. It is approximately 45 pages in length with eight sections. According to our schedule, she will take about 2 weeks to thoroughly go through each section and then return it to me for re-write. The most challenging part was writing a full chapter from the middle of the book as a sample chapter. Although I have the entire book outlined in detail, I do not have it written. To write a chapter out of order was difficult and I had to imagine what I would have already written in the prior chapter and subsequent chapter for arc of consistency. To successfully do this, I first centered myself with a brief mediation and deep breathing exercise. Then I mentally placed myself in having just written the previous chapter and actually re-lived the moment in my life that I was about to disclose. The words began to flow and I found myself with about eight pages before I came up for air. Once written, I set it aside for a bit and then came back to it. To edit myself, I read my writing out loud to myself and listened intently for flow, sense, and grammar. As I did this a few times, my frustration grew. My brain kept getting confused because I could not remember what I had written in previous sections versus what I had only thought about. After much exasperation, I took a deep breath and sent the entire proposal to my editor so she could work her magic. I’m too close and needed a break to re-gain perspective. Once she adds in her comments and suggestions, I’m positive another spark of creativity will be lit in me and I’ll dive into the second draft with fervor. In the meantime, you may be wondering what I am doing with my break. I am writing my monthly newsletter, another article for ModernDayMS, this post, as well as starting to plan next steps for my business once my book proposal is picked up by Hay House. Yes, I’m intentionally putting only positive thoughts into the universe; intending on winning the top prize of a Hay House publishing contract with the entry of my book proposal. After all, someone will win it so why not me? It’s the Law of Attraction; by focusing on the positive, I will attract positive energy. Stay tuned for my next update: full draft, first-round editing – my turn. Now that my “hook” has been established, my editor and I reconsidered the superhero theme due to its overabundance of use. And when I stopped to listen to my heart I knew I had to stick with my original intent as it was the only way to effectively define how my book empowers the reader. Moving forward, I now had to write the other components of a book proposal: Competitive Analysis, Market Analysis, Promotion, and Chapter Abstracts. The chapter abstracts were simple because I already had written a detailed outline from which I could extract summary nuggets. The other sections were a bit more complicated. My strength is networking. For all the years I worked in the business side of healthcare, my Myers-Briggs test results were always the same: networking was my wheelhouse. As I write my book proposal, I’m in essence being asked to step outside my comfort zone and into the realm of self-promotion and sales. Being taught as a child not to brag or boast, I find it terribly against the grain of my entire being to pitch to a potential publisher why I am so great. To make this task a bit more palatable, I worked to shift my thinking to promoting my solution instead of myself. Aha! 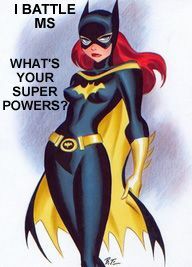 Now that is easy because I know there are a lot of people in distress and I am confident my G.I.F.T. process can help them. I compose the Competitive Analysis by putting myself in the reader’s shoes, feeling their pain, acknowledging and validating it, and then suggesting my four-step strategic thinking process as the solution. It takes several re-writes before my editor and I feel it is strong however I am allowing it to sit and percolate a while longer so I can make it even more impactful. Defining my target market and proving need for the message my book communicates are the main components of the Market Analysis. Not being 100% clear on what this actually entails, I give it my best shot by researching chronic disease and the Baby Boomer generation. Thankfully I found a lot of valuable statistics worth quoting. We’ll see what my editor thinks. As usual, I send drafts of each section to my editor for her input. She is, after all, who I hired to keep me on track as well as offer her expertise. As I forge through this process I am learning to develop a thick skin emotionally-speaking about my writing. Even when I think I’ve written my best, it most often doesn’t achieve the desired results so I have to go back and do it again. This process is definitely honing my writing skills and increasing my knowledge about the most important job of an author: selling (or marketing) the book they’ve written. Because let’s face it, if no one is clamoring to read the book, there’s no point in writing it because it won’t sell. Now back to work…more to come! Now that I’ve committed myself to entering (and winning) the Hay House Writer’s Workshop, the next step was to ensure I produced my best work. Stopping to consider that I have never written a formal book proposal and that the sample provided at the workshop was less than specific, I felt the need to reach out for professional assistance. I contacted Kelly N.’s company – if you recall from my previous post, Kelly was a speaker at the workshop – and had a stimulating conversation with one of her staff. Once we determined this was a good fit for me, I was assigned a potential editor. My initial ‘get acquainted’ call was supposed to last no longer than 15 minutes. We ended up talking for almost an hour! We had so much in common and were able to prompt each other’s creativity; it was if we were kindred spirits. Score! I contracted Kelly and her editing team immediately. My first assignment was to write a synopsis of my book and provide specifics with regard to my target market. Easy, right? Not so much. I knew my target market is Baby Boomers. However, I learned that is way too general and I needed to get more specific. As I wrote the synopsis, I ended up writing what I would call a “hard sell” of the book instead of what it actually is about. According to my newly hired editor, I was so much in my head that I did not feel the reader’s pain and explain how I could help alleviate it. Feeling frustrated and stuck in the muck of my mind overflowing with my typical overachiever thoughts, I tried to center myself. After all, that’s what I teach others to do so I ought to take my own advice. Interestingly, as I centered myself I had an epiphany. In order to write the book proposal to persuade an editor my idea was worthwhile, I realized that I was actually going through the exact four-step strategic thinking process that I teach in my book in order not to panic while creating my best work. This reinforced my purpose of sharing my message. As I took a deep breath, I re-wrote my synopsis from my heart; expressing how I understood the pain of a sudden health scare and my experience could be used to help the reader on their journey to wellness. And I honed in on my target market: Baby Boomers who have or are at risk of having a chronic disease and want to learn to be proactive in their health care so as to eliminate the chaos of reactionary sick care. With that said, I’d like to share a glimpse of my overview with you. Please comment and let me know if this is a book you would like to read. Vivid images of that moment remain engraved in my mind’s eye forever. I still see my father slumping down in his chair and my mother quietly crying; both helpless to alleviate my suffering. And I still hear my brother’s questions to the physician to gain clarity on why he deemed this diagnosis to be true. Most importantly, I remember thinking to myself that my life had unexpectedly permanently changed in a way that rocked me to my core. Nothing would ever be the same. 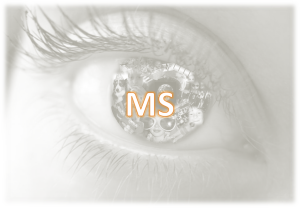 MS was an incurable disease that I would have to live with forever. And in the literature the doctor gave me to read, it was thought the disease would progress as I aged and I’d only live into my 70s, if I was lucky. At that moment, I was overwhelmed with anxiety. Over time, as I processed my thoughts and feelings plus adjusted to my new normal, my thinking shifted to the more positive and I began to recognize the gifts that MS brought me. And ensuring to get adequate sleep/rest to allow my body to heal. In this journey we call life, how we live and the legacy we leave is what matters most. MS has helped me come into my own; no longer being overly concerned about how others think I should lead my life but living true to myself and what I want. I have discovered my strengths and have become the person I want to be by personifying the change I wish to see in the world. Namely, I try to authentically walk my own talk and give of myself to others as much as possible. I am blessed to be able to do this as a motivational speaker, published author, wellness coach and consultant who inspires hope through mindful health and a meaningful life. Don’t get me wrong; there are plenty of negative things that come with my diagnosis of MS: Dizziness/lightheadedness, cognitive challenges, numbness and/or tingling of all parts of my body, and severe fatigue are a few of the things I experience on a fairly regular basis. Combine that with the fact that I now take a plethora of prescribed medications and vitamins daily to stave off disease progression that have their own negative side-effects including weight gain, excessive dry skin, and hair thinning/loss. However, I consider these to be a small price to pay for being well and I celebrate every day that I am able to get out of bed, stand on my own two feet, and walk without a struggle. My experience with MS is so much less than many others’. I was fortunate to be diagnosed later in life at age 44; to be persistent so as to have a definitive diagnosis within 6 weeks; and be on disease modifying therapy (DMT) within 8 weeks from disease onset. Research shows that the sooner a person is put on DMTs the slower the disease progresses. I am living proof of that. Ten years have flown by and I am amazed at how strong I remain. Yes, I still have relapsing remitting MS and thankfully it hasn’t progressed. I believe I have more lesions in my brain than when newly diagnosed but nothing is clinically apparent. My neurologist claims that I am “incredibly and extremely lucky.” When I think about that remark and reflect on the past 10 years, I truly believe that “luck” has taken a lot of effort, discipline, commitment, positivity, and faith. And as I celebrate today I am hopeful that I will live well into my 80s or more and with the advances in medical research every day, I remain confident that I will live to experience a body free of MS.